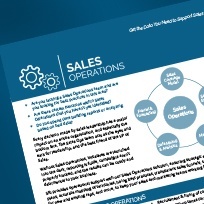 Learn the 12 elements of a Winning Sales Organization and assess your own with this eBook and worksheet. 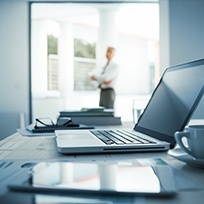 A leading provider of technology services to the legal industry came to SRi five years after its establishment. 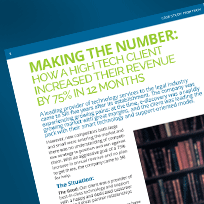 The company was experiencing growing pains: at the time, e-discovery was a rapidly growing market with great margins, and the client was leading the pack with their smart technology and support-oriented model. 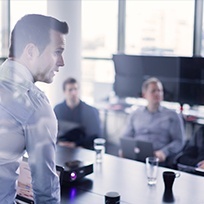 Does your VP of Sales have the skills to successfully guide your sales team in your unique company environment? Read our eBook to find out. 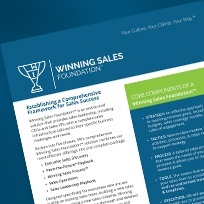 About our comprehensive Winning Sales Foundation solution. 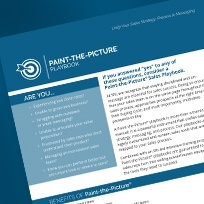 About our Paint-the-Picture sales playbook solution. 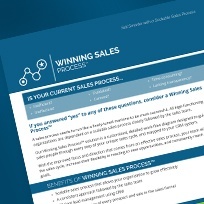 About our Winning Sales Process solution. 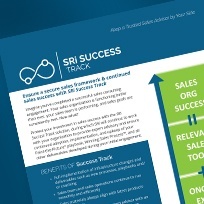 About our ongoing advisory solution, Success Track. 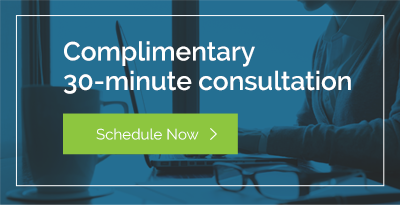 This eBook provides expert insights and helpful tools for sales managers and their reps to improve prospecting skills. 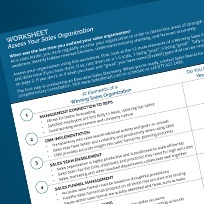 Evaluate the health of your sales organization with this 2-page worksheet. Clients love our playbook and process solutions. 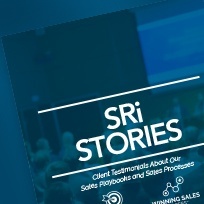 Read four client stories and testimonials for these two popular deliverables. 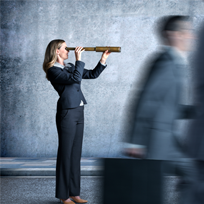 When was the last time you evaluated your sales process? 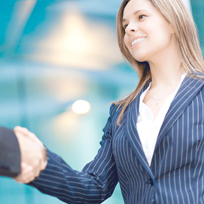 Have you ever fully defined your sales process? 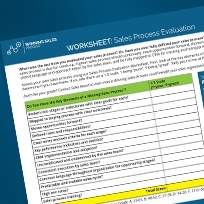 Assess your sales process with this grading sheet. 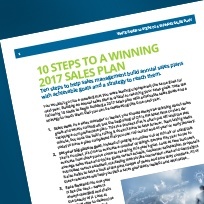 Ten steps to help sales management build annual sales plans with achievable goals and a strategy to reach them. 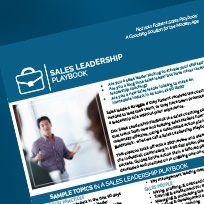 Brochure outlining our Sales Leadership Playbook, our customized executive sales coaching solution, what's included, and how it works. Brochure about our Sales Operations fact sheet, what's included, and the benefits of working with an experienced operational partner. 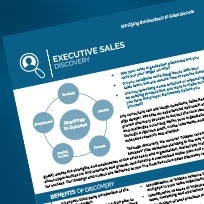 Brochure for our discovery solution, how it works, and what's included. 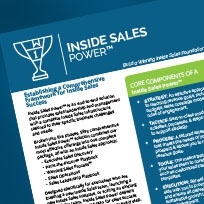 About our comprehensive Inside Sales Power solution, which includes discovery, playbook, process, coaching, sales operations, and implementation in one total package with a proven Inside Sales approach. 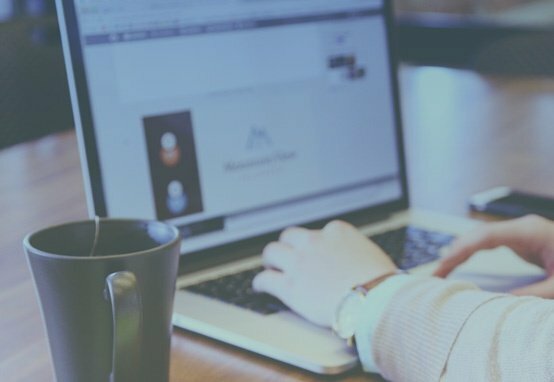 A PowerPoint template to guide you through building a better sales presentations. For more information about how to use, visit our blog on the topic.